Here is a short introduction to Maria Kassova—a motivational speaker, facilitator, and executive coach. She founded MK Motivation as she is passionate to help individuals, teams, and organisations achieve peak performance through confident communication, thriving leadership, and cross-cultural mastery. As a Bulgarian who has lived in and visited over 56 countries, Maria learnt that cross-cultural competence is essential to excel in our global world. 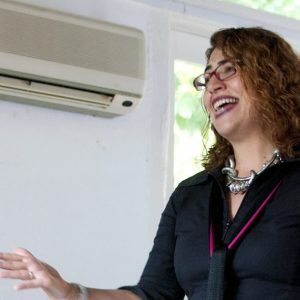 With 22 years experience in corporations like Cadbury Schweppes, BBC Worldwide, Discovery Networks International, Chello Media, and NBC Universal, Maria knows well the challenges of increasing sales targets, intense competition, and demanding clients. She has an MBA in business studies, is a Master Practitioner in NLP, a hypnotherapist, and is currently studying for a diploma in Applied Positive Psychology. If you want to find out more about the team—we invite you for a short conversation. We know you have probably read many boring profiles. That is why we decided to speak with you. We hope we got your questions right! Why do you do coaching, training, and facilitation? I believe we all have endless potential. We become conditioned to listen to our negative inner voice, and focus on the mistakes and criticisms. We forget that we possess many strengths, have achieved a lot, and made a difference to somebody else’s life (our parents’ at minimum). I love being a catalyst for the ‘Aha’ moments, be they in coaching or training. I am in awe when people realise what power they possess, discover new insights, and form empowering beliefs. This transformation right in front of my eyes brings me enormous meaning and fulfilment. Are you academically prepared for this work? I am a Trainer and Master Practitioner in Neuro-Linguisitc Programming, a certified coach and hypnotherapist. I did an MBA at South Bank University (London), and have an MBA in International Economic Relations from the Sofia Economy University (Bulgaria). I have attended the VIA Character Strengths workshop and am currently studying for a Graduate Diploma in Applied Positive Psychology at the School of Positive Psychology in Singapore. Can you relate to corporate challenges? My first big job was in Cadbury Schweppes Ghana as Sales and Marketing manager. I had to learn and adapt very quickly to this totally new business environment. There were high expectations for me to build the market for Schweppes. Together with a strong team of 10 we won 30% of the soft drinks market in Ghana after only 2 years. I realised the importance of nurturing the team, admitting when I was wrong and having passion to develop the relationships with our distributors and consumers. 1996 was a turning point as I embarked on a career in media. I worked at BBC Worldwide and Discovery Networks Europe, based in London. In 2003 I was promoted to Vice-President of Affiliate Sales for Discovery Networks Asia and transferred to Singapore. Together with the sales team we grew revenue by 60% in 2 years and rolled out the portfolio of 3 new Discovery channels in Asia-Pacific. I have recently worked for media companies like Chello Zone and NBC Universal. With more than 22 years of corporate experience, I know firsthand the pressure of increasing targets in a volatile market with intense competition and demanding clients. What do seminar participants and coachees appreciate you for? My positivity, warmth, approachability, and honesty. They feel accepted and acknowledged just the way they are. They open up in the safe space we co-create, and are grateful to be heard with empathy and compassion. They like the high level of engagement, activities, and interaction that happen during workshops. They like my ability to relate to their challenges. They like the diversity of clips and music I use. People love my openness, enthusiasm, energy, and ability to truly connect. I love my family and friends. I cherish and adore my nephews—I can’t imagine life without them. They make me laugh, teach me to play, be patient, and answer simple questions with deep meaning. I am so grateful for my family! I love dancing, music, movies, writing, designing programmes. Creating makes me alive. What are 4 reasons we should consider to partner with you? My corporate experience (BBC Worldwide, Discovery Networks International, Chello Zone, NBC Universal) in leadership, sales, and high-level negotiations. My consistent track record of exceeding targets and growing market share. My international background (lived in 8 countries, led a multi-cultural workforce, speak 4 languages) with many achievements and some failures. My passion to make a positive difference by encouraging people to be optimistic, to focus on their strengths and successes. Rich training, coaching, and public speaking experience in the corporate and public sectors. I’ve addressed diverse audiences (including senior media execs of the Ted Turner calibre) for the past 15 years. What is one final thing you want to share? 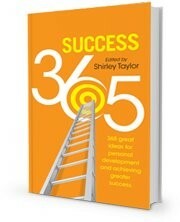 I recently co-authored the book Success 365 which offers 365 POWERFUL TIPS AND TOOLS TO ACHIEVE GREATER SUCCESS AT WORK. This book holds a prominent position in all major bookstores in Singapore. I am very proud of this achievement. I hope readers can benefit from my insights and experience.